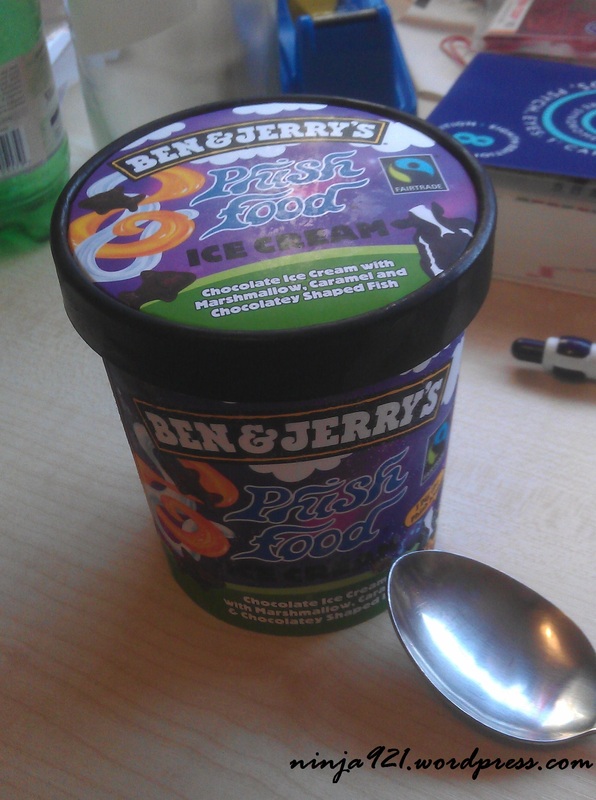 I must say it was one of the best ice cream I have eaten so far. This flavour of chocolate ice-cream contains marshmallow, caramel and chocolatey shaped fish. OMGOSH!!! IT WAS DAMN GOOD!!!!!!!!!! There is this half priced promotion, which costs me only 2.4 pounds, which is equivalent to about RM 11.70. In Malaysia, the same size of this ice-cream will cost us at least RM35.00 !!!! WOOHOOOOOOOO!!!! Ben & Jerry’s Singapore also got right? ?